Note : Your request will be directed to Infineon Technologies. The BGS14MPA9 from Infineon is a SP4T switch optimized for 2G / 3G / 4G and 5G cellular applications up to 6 GHz. It has an insertion loss of 0.2 dB and provides an isolation of 50 dB @ 1 GHz. The switch can handle an input power of up to 38 dBm and is perfect for LTE 4G applications, such as Uplink-Carrier Aggregation, High Power User Equipment (HPUE Class 2) and 5G sub 6 GHz. 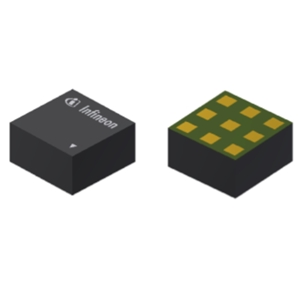 It is available in a compact 9-pin package that measures 1.1 x 1.1 mm and can be applied as a 2G / 3G post PA RF Switch and high-band antenna switch for LTE-U / LAA or LTE band 42 and 43.